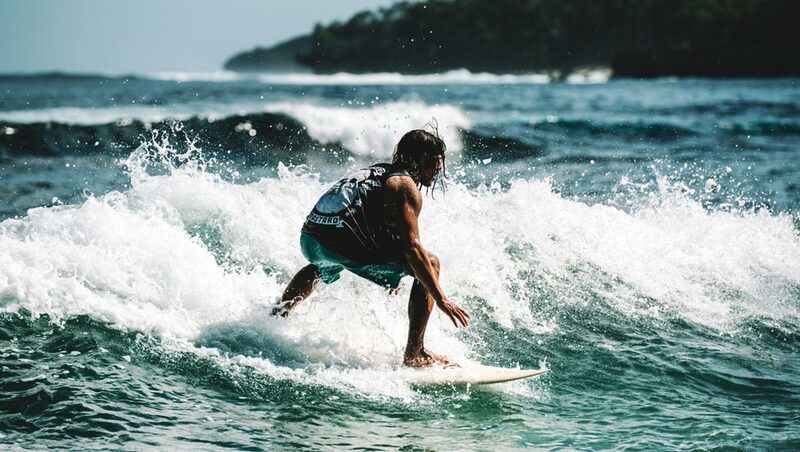 Pacifico is another place where you will find surfers. The beach at Pacifico is protected by a barrier reef and features coarser white sand than around General Luna but, it has a surf break right out front that can be a little tame or a little exciting, depending on the storms out over the Pacific Ocean. Some says that the break at Pacifico is superior to the famous Cloud 9 at General Luna. For sure, it is a little more challenging with the strong tidal flow along the beach that can take you past the break if you paddle straight out. In addition to surfing you can find kayaks for rent and even a sail boat or two at Pacifico. Before the concrete road arrived, Pacifico was largely residential but now offers a number of beach resorts, mostly priced in the low to medium range. Many are not much more than houses converted into home-stays and the range of culinary adventures is somewhat limited. Visiting or staying at Pacifico allows you to imbibe the essence of island living, Siargao style. Lazy days of doing not too much except watching the ocean and enjoying the company of friends and villagers. Pacifico is a tranquil, homely place that has not yet been changed by masses of tourists. A drive to Pacifico to observe the surf or simply to enjoy the beach delivers a new facet of Siargao Island that not so many people ever see.